See the best of Toledo and Segovia with you own private luxury car and chaffeur from Madrid. You will be able to learn the best of both cities with a professional tour guide for yourself in both cities (3 hours with a own professional tour guide in each city). 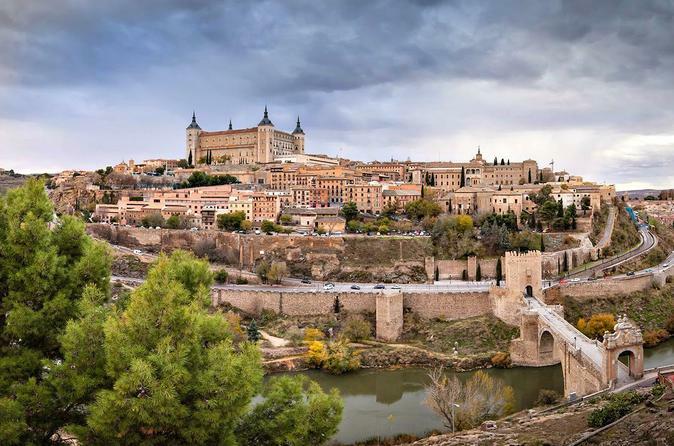 See the most important sites of Toledo, which is a UNESCO world heritage site. It´s gothic cathedral, the jewish quarter and the castillo san servando, amongst other sites in the city with. And the most important sites of Segovia, its roman aqueduct, the cathedral and the alcazar, and other sites of the city. Enjoy this private 12 hour tour with your own private luxury car and chaffeur in english to the cities of Toledo and Segovia (where you will enjoy a private guided tour for 3 hours in each city with a professional tour guide) from Madrid. You will be picked up from your hotel in Madrid (please let us know at the time of your booking where will you be staying) and head towards Segovia (around 1 hour and 15 minutes), where you will enjoy a 3 hour private tour guide through the most important sites of the city. After enjoying Segovia, your private chaffeur will drive you to Toledo, the UNESCO world heritage site, for around 1 hour and 40 minutes. Once in Toledo, you will also enjoy a 3 hour private guided tour through the city and it´s most important sites. In both cases you will be able to personalize your tour, please let us know if you are interested in any particular spot of each city. After enjoying Toledo, your private driver will take you back to your starting point in Madrid.